Interiors: Raji Radhakrishnan's Eclectic Mix — Sukio Design Co. I must give a Sukio shout-out to local designer Raji Radhakrishnan. Her Northern Virginia home, recently featured on the cover of Luxe Magazine, is filled to the brim with assorted pieces of various eras and origins. 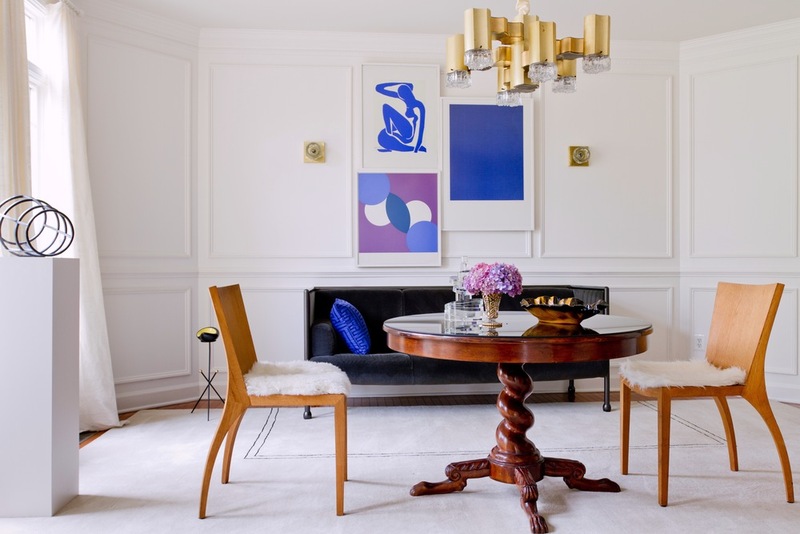 Contemporary meets mid-century modern meets art deco... It all comes together in this beautifully eclectic space. Favorite features include Raji's awesome art collection, high-gloss office, and killer door moldings. Très original! The home office is painted in Farrow & Ball’s Pitch Black.